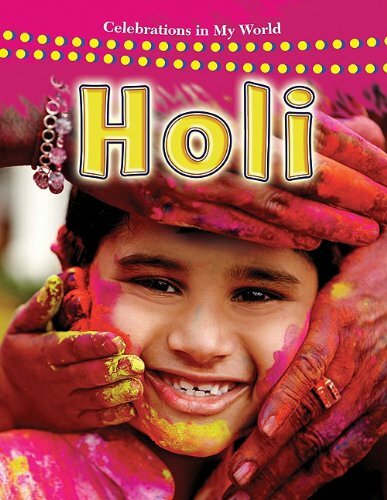 Holi is celebrated across India, especially in the North and also countries like Nepal. Due to the spread of Indian culture across the world, now holi celebrations can be seen in many parts of America and Europe as well. As it is a festival of colors, people celebrate holi by singing and dancing and coloring each other using water colors or colored powder. The date of holi is decided based on the date of full moon occurrence in spring and in 2014, holi celebrations fall on March 17th, Monday. Holi was traditionally celebrated by Hindus, but nowadays every one seems to enjoy the celebrations regardless of the religion. The origin of this festival is associated with a legend from Hindu religion which narrates a story about the win of good over the evil and the celebrations are associated with it. Along with dance and music programs, cultural events are also organized during the festival. Since this festival is celebrated around the time of spring, it is thought that the origin of the festival is also associated with harvest. However, the main attraction of the festival is the play with colors and if you happen to be in the middle of a holi celebration, expect to get immersed in water and colors. People use water guns and water filled balloons to spray colors on each other, which is accepted by every one on this day, and they also paint faces with colored powders. The traditional homemade color powders used for Holi celebrations are made from natural sources like turmeric, berries, hibiscus, henna etc. It is believed that the use of spices in making the Holi colors help to improve your health and protects from diseases, since they have much medicinal value including antibacterial properties. These story books can help kids in understanding the stories related to Holi and also about the celebrations associated with the festival. They also have beautiful pictures to make the stories more interesting for kids. 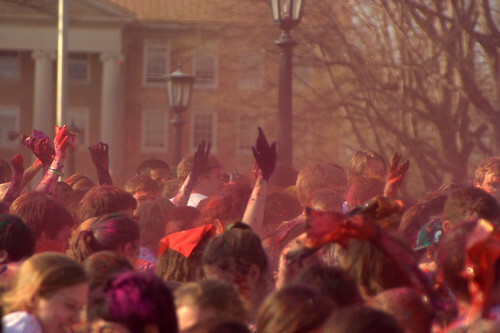 Holi is meant to be fun and enjoyable for everyone, regardless of age or gender. Unfortunately, there are always people who misbehave and involve in theft and other crimes during the celebrations when large crowds are out there, as it is also the suitable time for their actions. Avoid crowded areas and stay away from public celebrations, especially if you have kids or if you are alone. It is not advisable to travel alone during late evenings and nights during the festival time. If you travel, it is best to go in groups of friends or people you trust. Holi is best to be celebrated with your family and friends. It is also considered to be the festival of love, and so it is the best time to nurture relationships and forget and forgive others. When you celebrate holi with your own family and friends, then it actually becomes a quality time to spend with your loved ones and you can enjoy together. It is a tradition in Indian families to organize parties and invite relatives and friends to home during the time of Holi. Everyone enjoys the day with music, dance, food and of course the colors. This is a cheerful occasion especially for kids due to the gatherings and celebrations and they would love to have fun with spraying colors on each other. 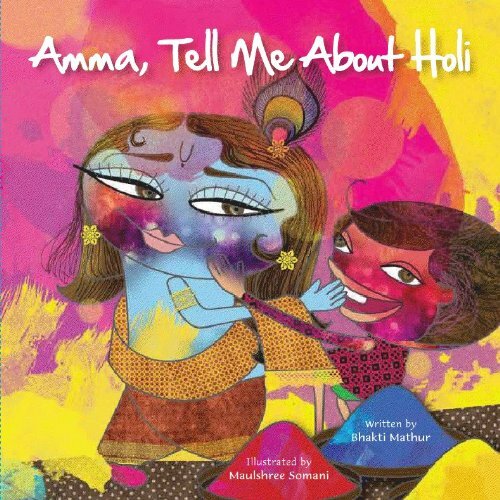 Have you ever heard about the Holi celebrations? Loved playing Holi when I was kid. This was the most enjoying holiday of all. This year both St. Patrick's day and Holi celebrations were on the same day, I have to see if its like that every year. VioletteRose, You've selected charming photos for this happy holidays. I'm reading this on St. Patrick's Day, so it's fun to see all the green in the photos. Thank you :) I am glad you enjoyed reading this! 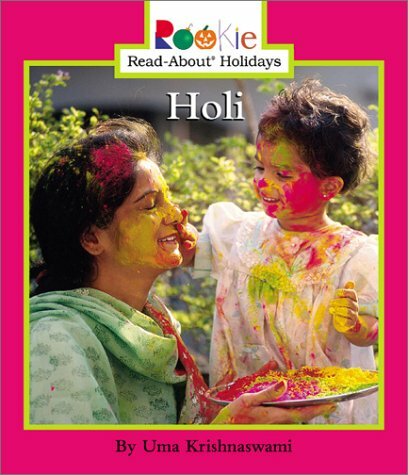 I really enjoyed reading about Holi - which I haven't heard of until now! 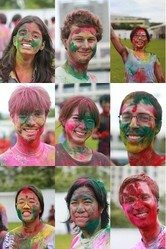 @Valeed Nowadays holi is celebrated in many other places outside India, hope you can see it sometime! I didn't know about this tradition. We have something similar in March about good winning over evil and spring over winter, but it's not a festival. We just give each other (men to women or women to women, mostly) tokens of good luck: four-leaf clovers, ladybugs, and so forth.